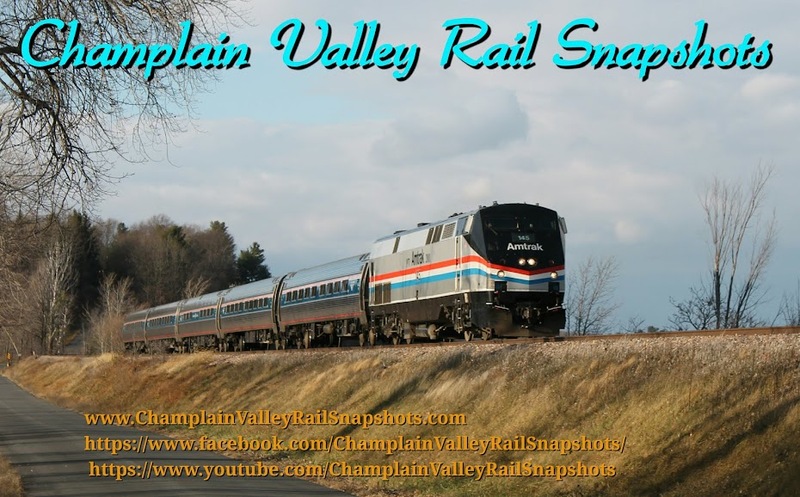 Champlain Valley Rail Snapshots: What is CVRS? Champlain Valley Rail Snapshots represents a life long love of history and a newly rediscovered appreciation for the railroad. Remembering glimpses of trains I witnessed as a kid while railfanning with me dad has come full circle as my own son comes along to enjoy the incredible sights and sounds of the modern railroad. I'very added to this a burgeoning interest in photograph and a passion for the written word that has alluded me since high school. I started posting sightings and rail related news on my personal Facebook page to then share to several Facebook related groups. Because my personal Facebook was being flooded with train information that didn'the matter to the majority of my friends and family I started the Facebook page as a holding area for my train stuff. Since then it has grown a YouTube channel and a Twitter, with Facebook being the primary focus. I have been striving to make Champlain Valley Rail Snapshots relevant as a news source of sorts. I like championing historical preservation and educational tourist train routes. I feel strongly about have good intercity rail service such as Amtrak. I also understand the importance of a strong international rail network and try to keep up on industry news. I have been out in the field reporting when I can, like when there was the road rail accident in the summer of 2015 or for special eventsomeone like the Toys for Tots train. Plattsburgh New York is very fortunate to be part of the rail network and have interstate access. There has been a lot of controversy on the railroad as to the shipment of crude by rail, with little being said on what the railroad does to keep us safe. I like to report on some of the things that are being neglected in the mainstream, like that. So thanks for reading. I hope you check out some of my other write ups, and come back frequently for updates.